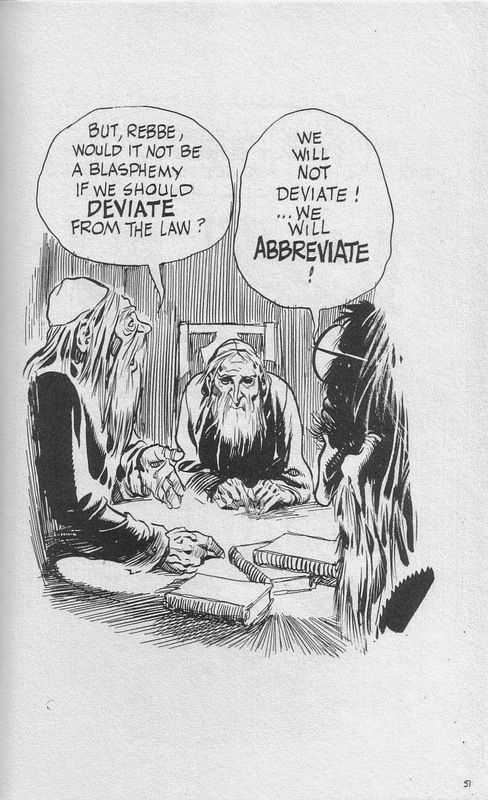 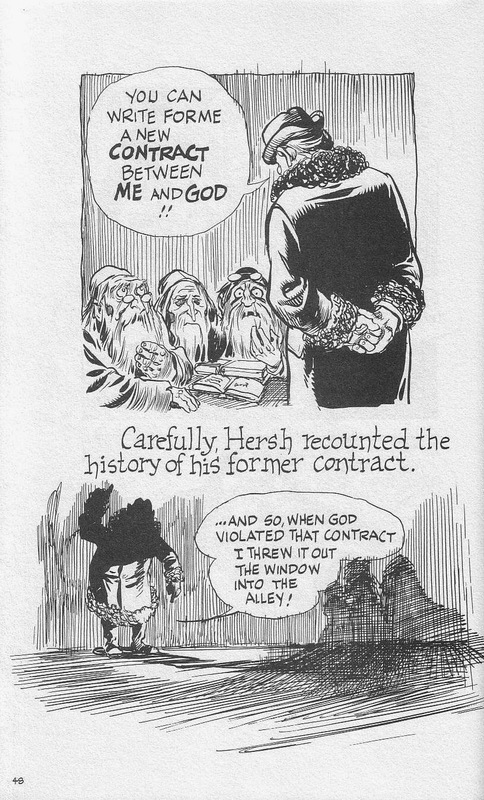 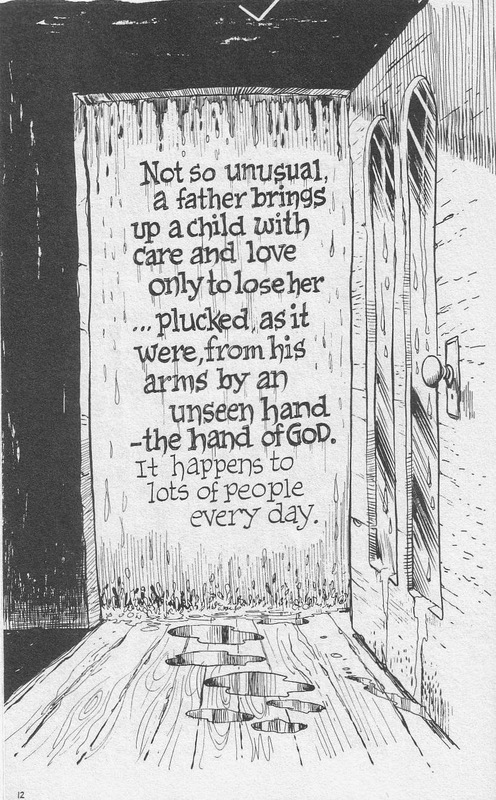 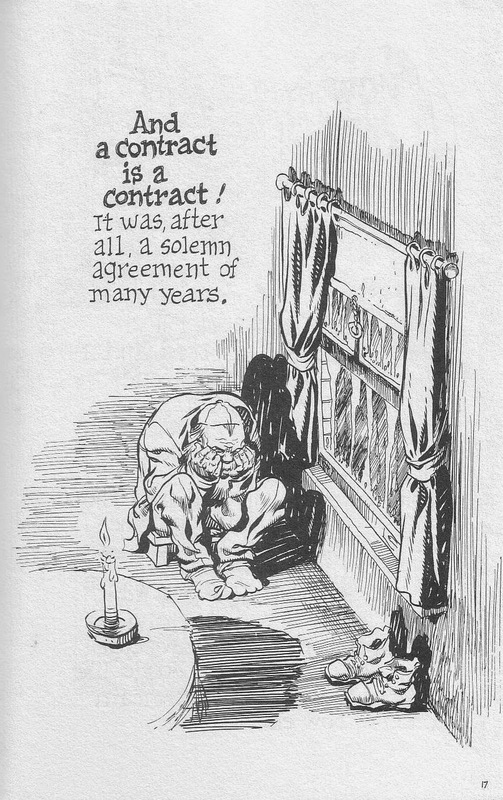 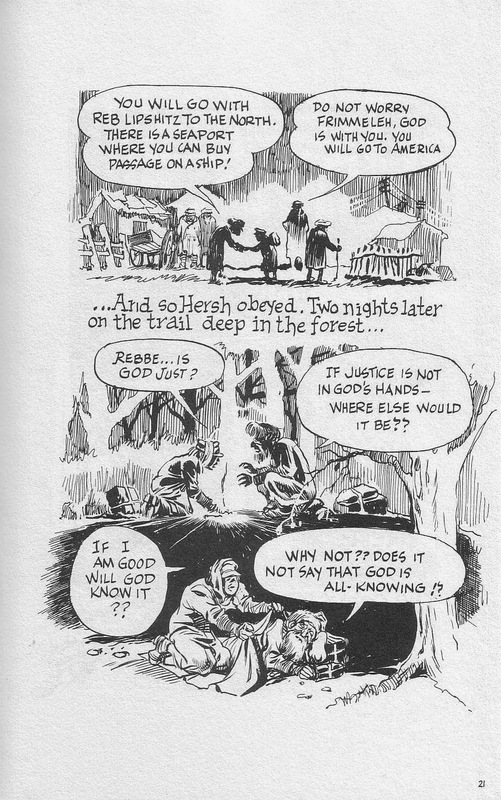 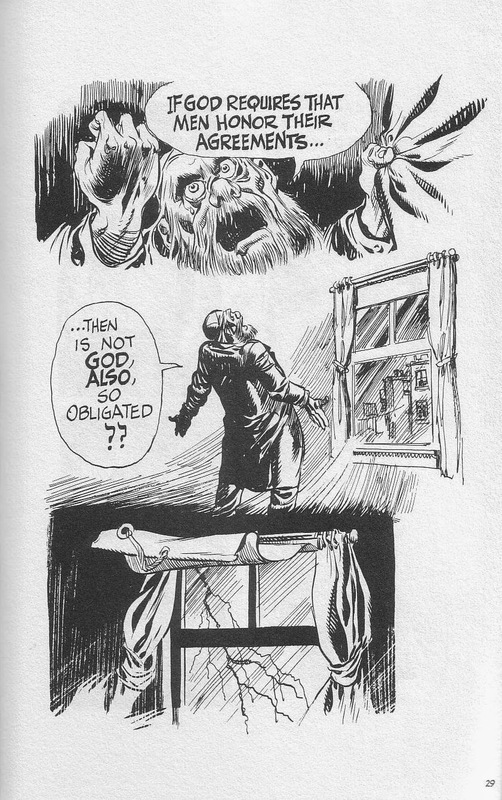 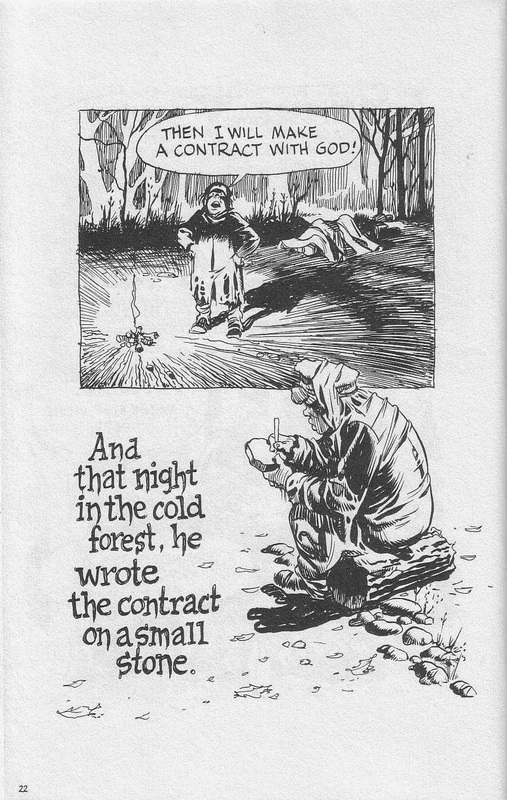 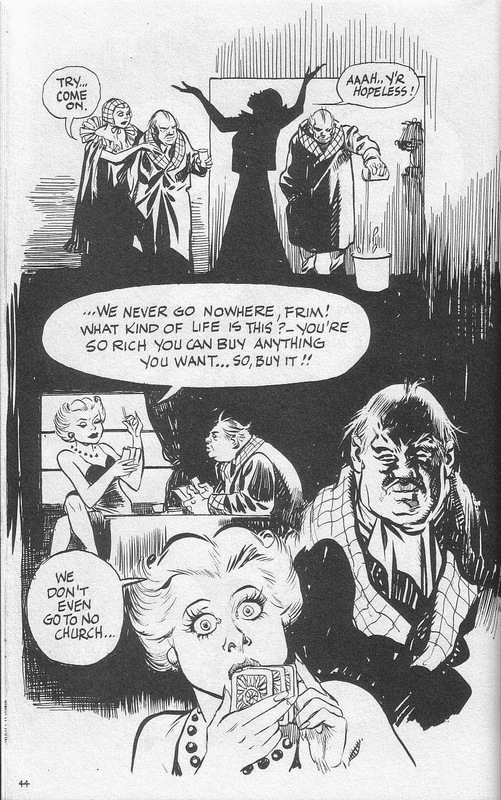 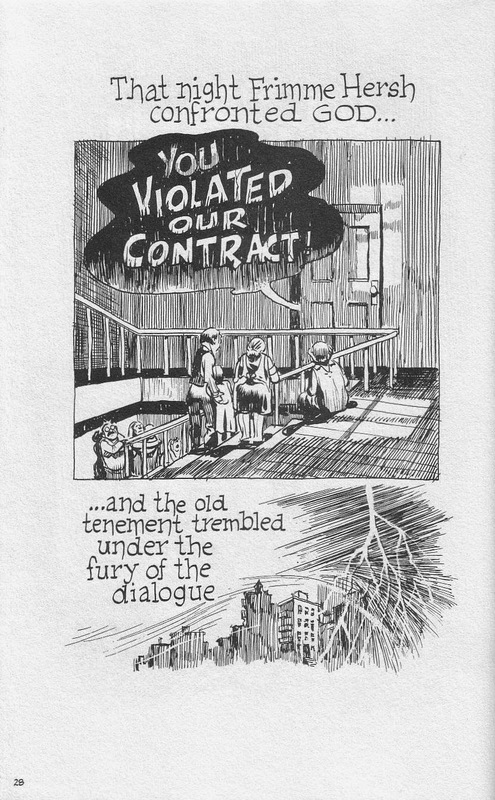 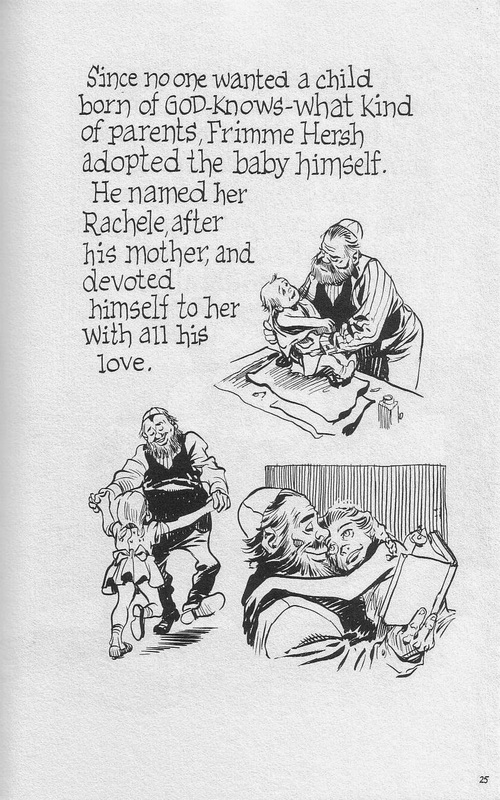 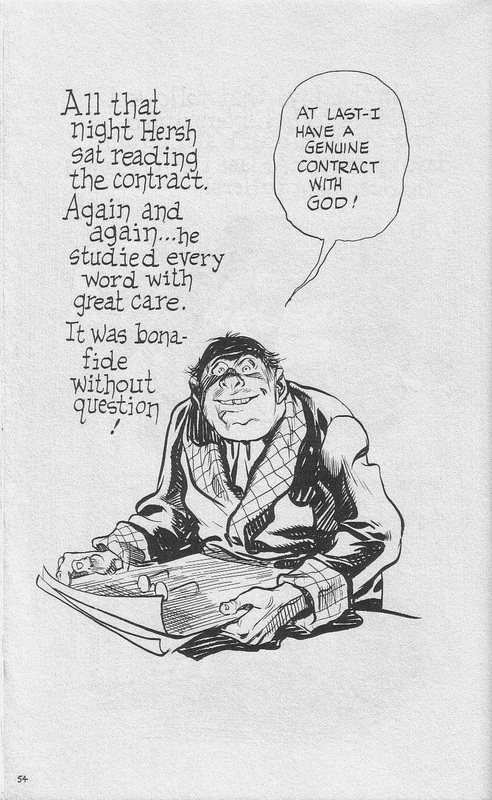 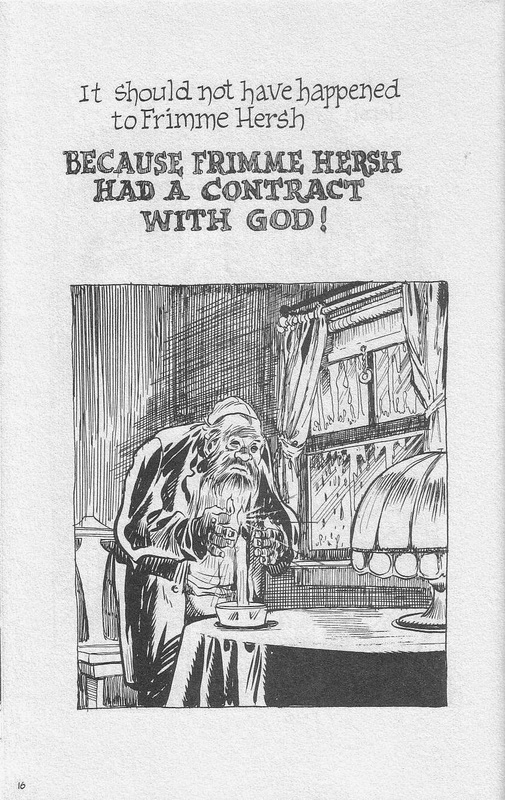 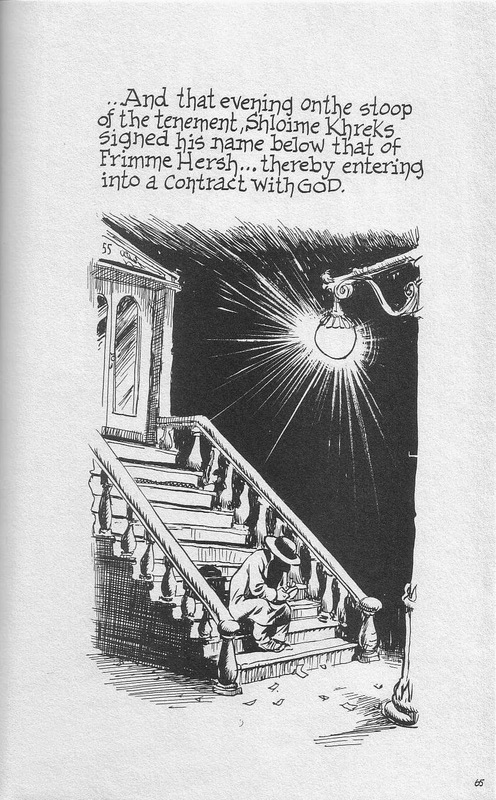 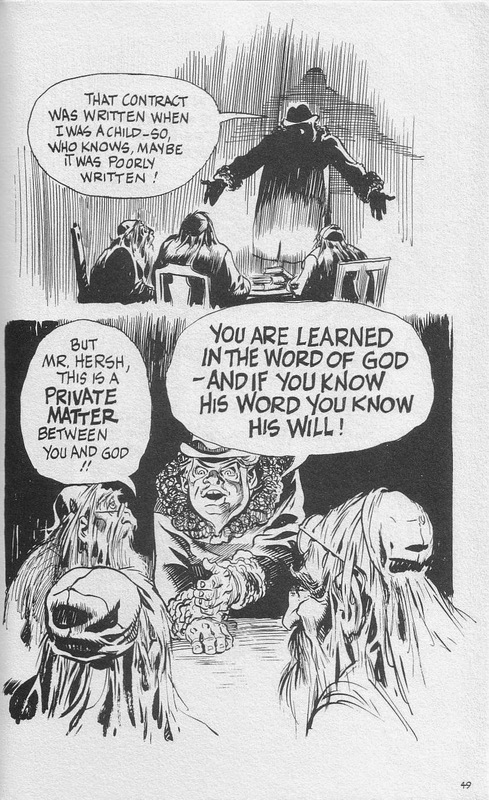 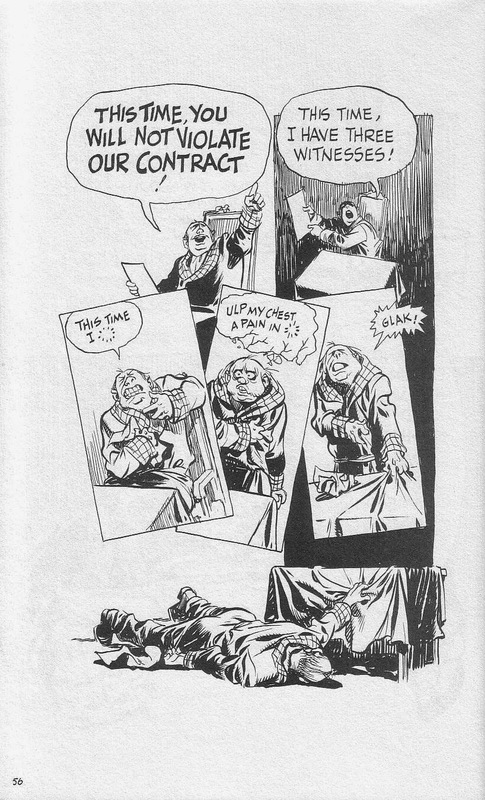 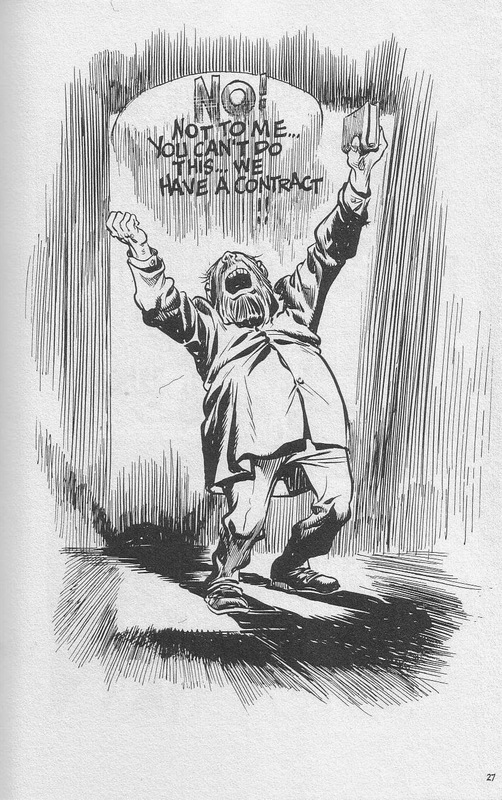 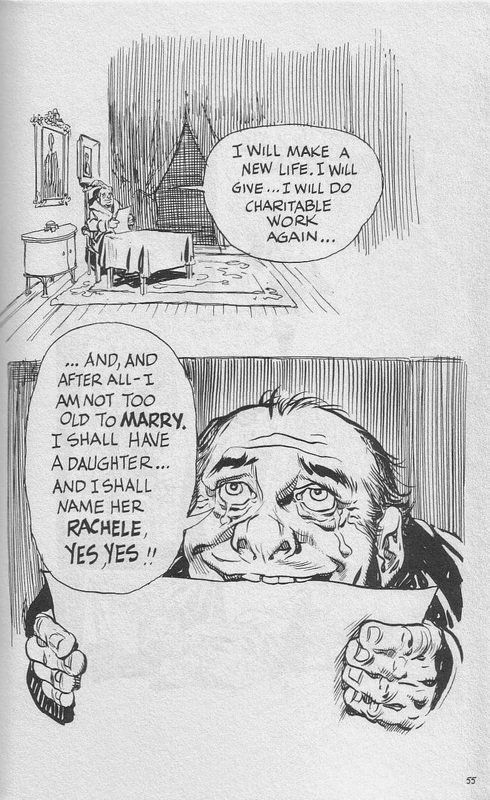 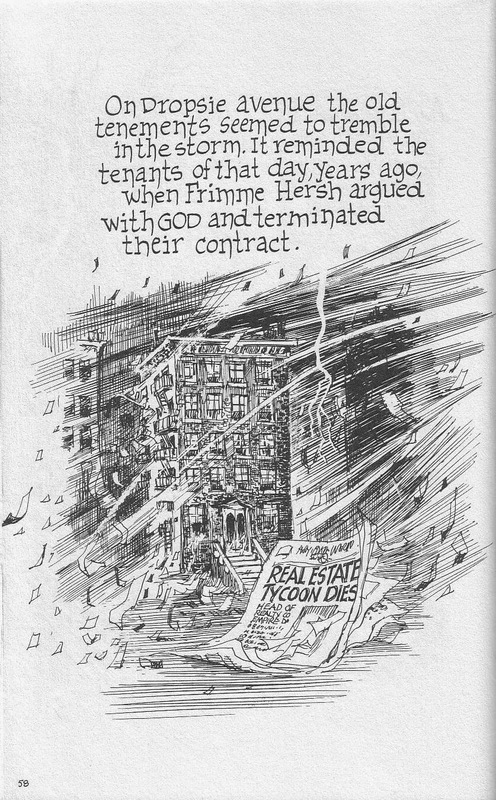 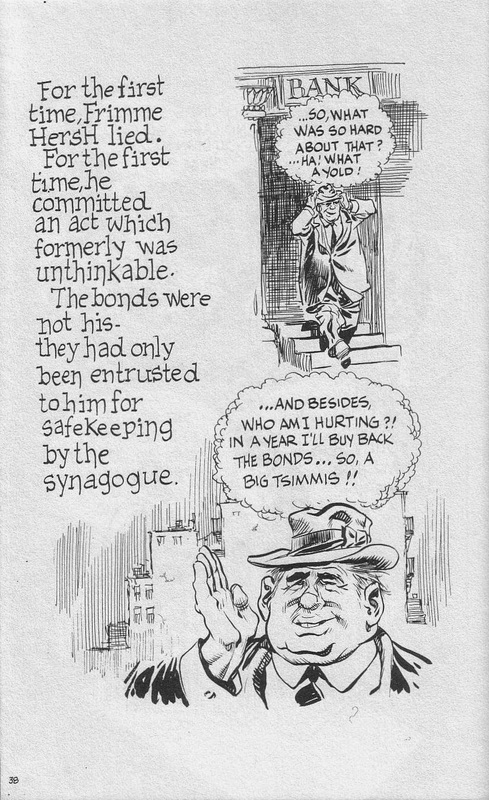 A Contract With God wasn't technically the first graphic novel, being beaten to the punch by Gil Kane's Blackmark, and even before that, with the little known It Rhymes With Lust. 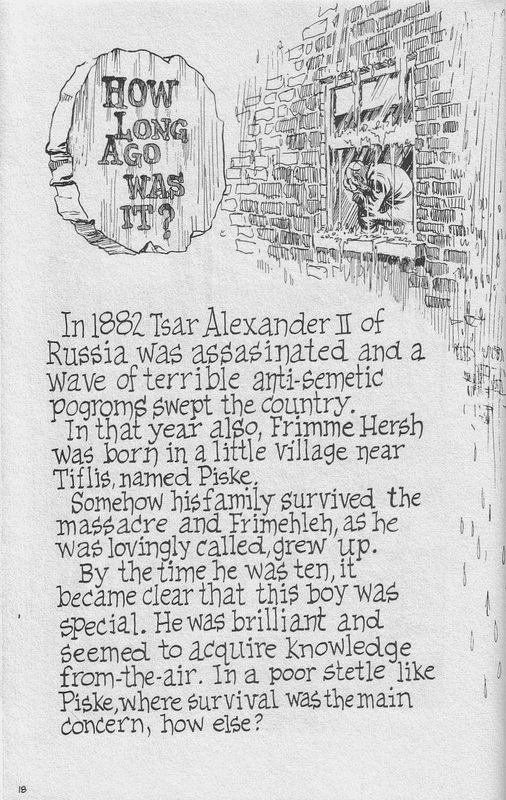 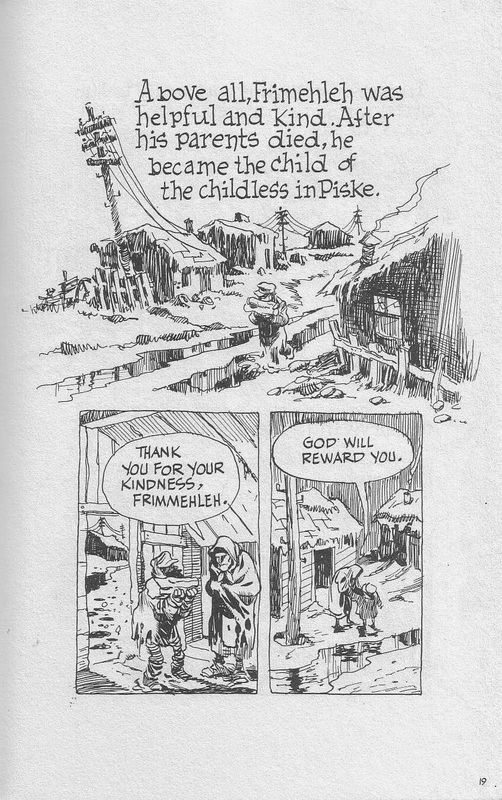 But it was the first book to call itself a graphic novel, and the first one to be marketed as an actual 'adult' novel. 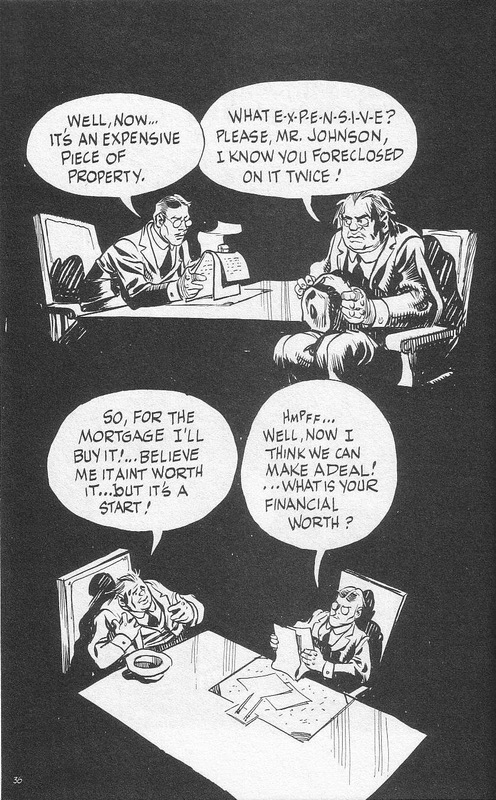 Blackmark, as great as it is, was never going to be found on the coffee tables of the smart set in the '70's. 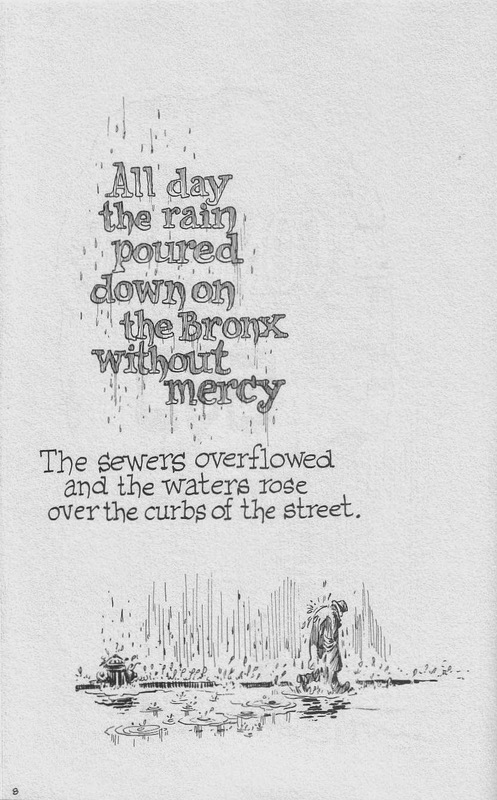 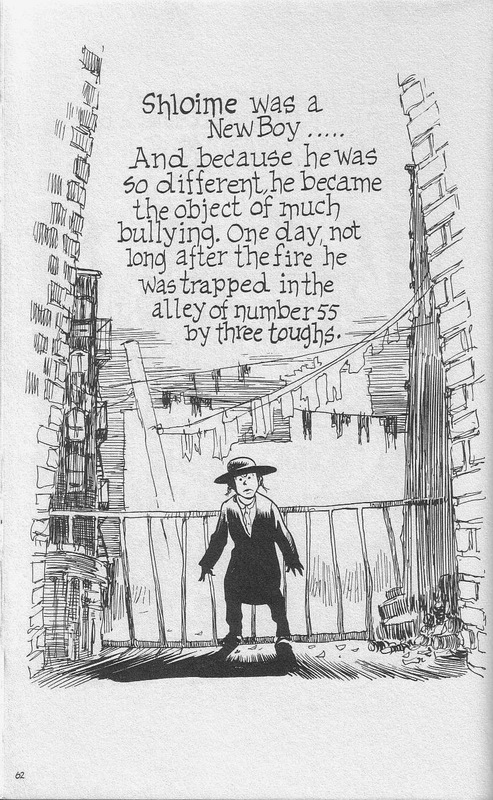 It's also not actually a novel, but a collection of four stories, all set around the same tenement in the bronx in the 1930's, and are heavily autobiographical. 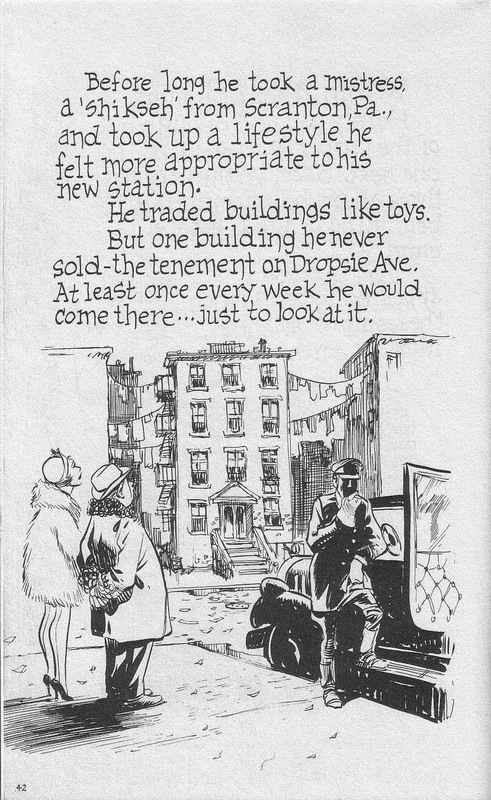 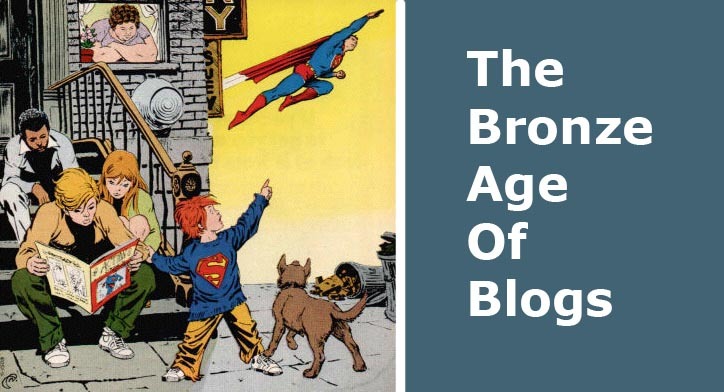 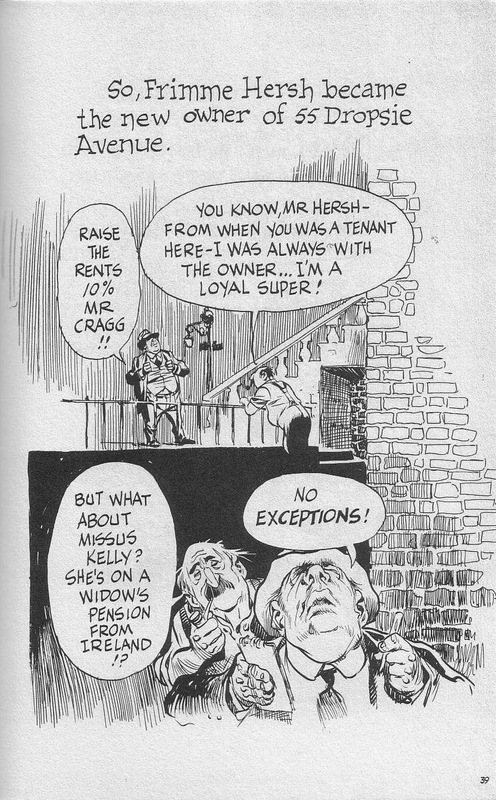 When you read old interviews with Will Eisner, it's obvious that he was just about the only professional ( other than Jack Kirby ) in the Golden Age to really see the potential of comics as an artform, and to openly discuss that potential in adult terms. 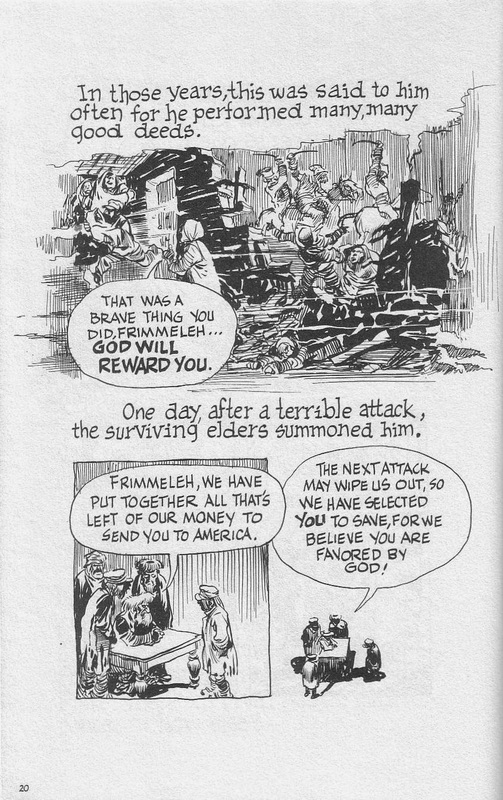 Like Kirby, he was really decades ahead of the game, whether you like his work or not. 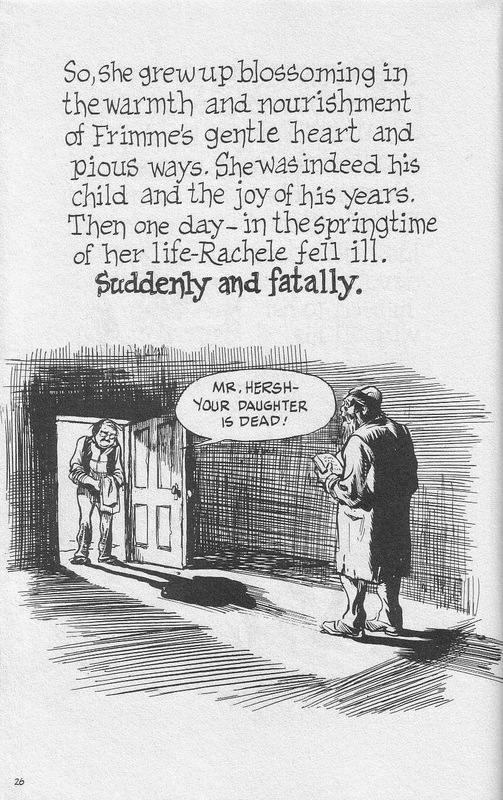 I didn't like it as a kid, but then it wasn't for kids, not really. 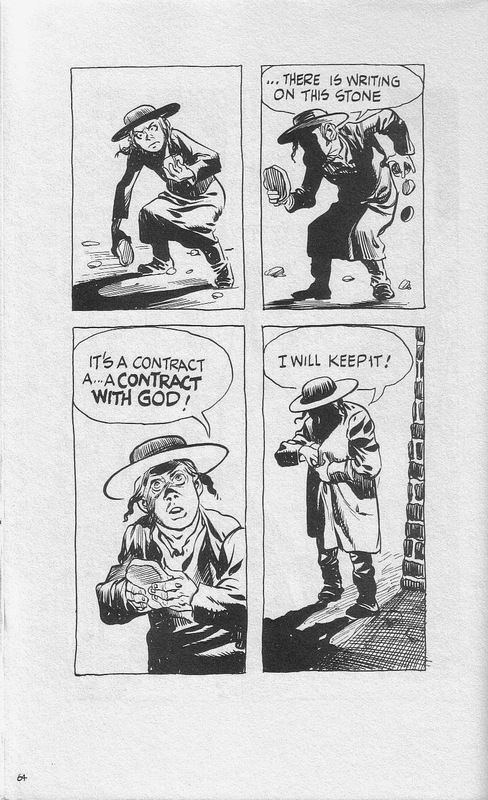 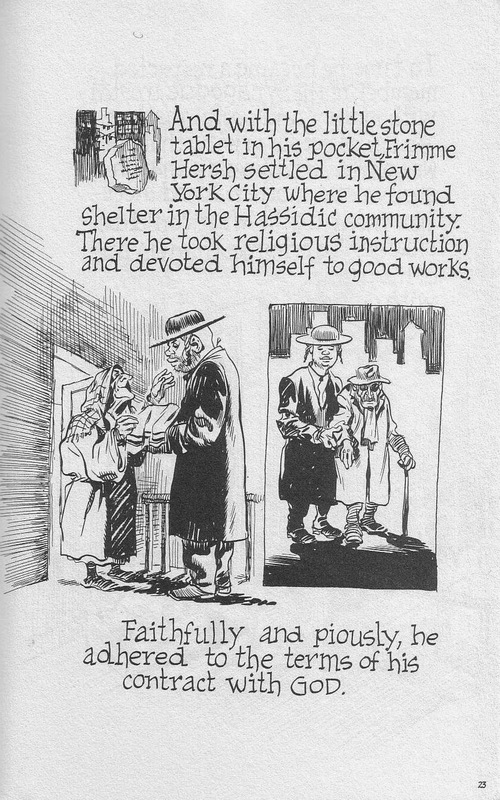 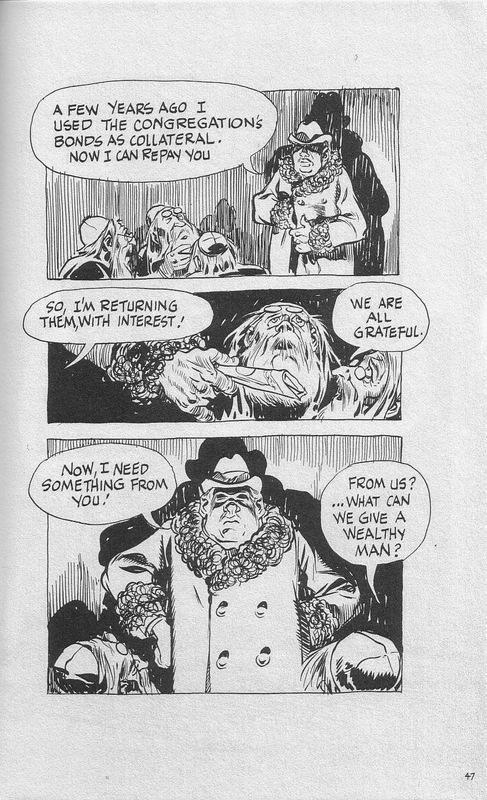 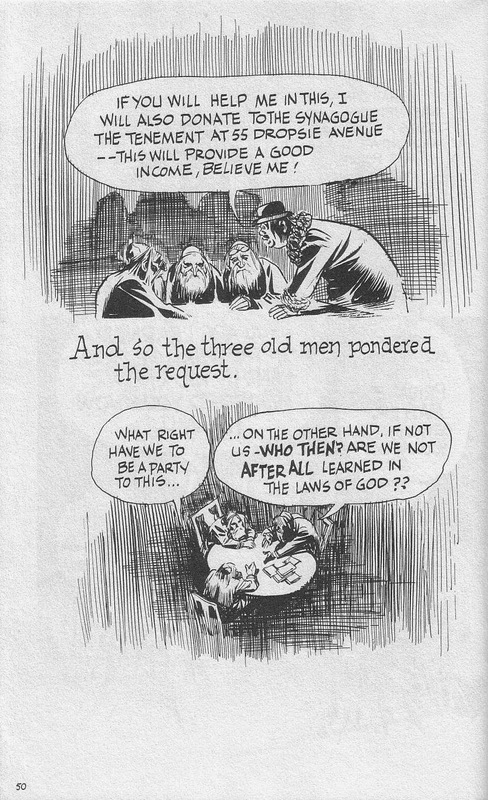 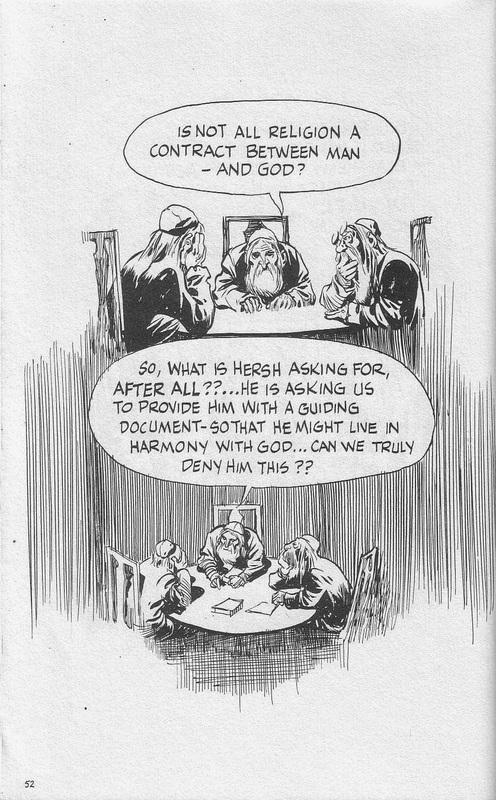 A Contract With God, and most of the graphic novels Will followed it with, are specifically from the viewpoint of an old man looking back at his youth, warts and all, and sometimes are quite tough reads. 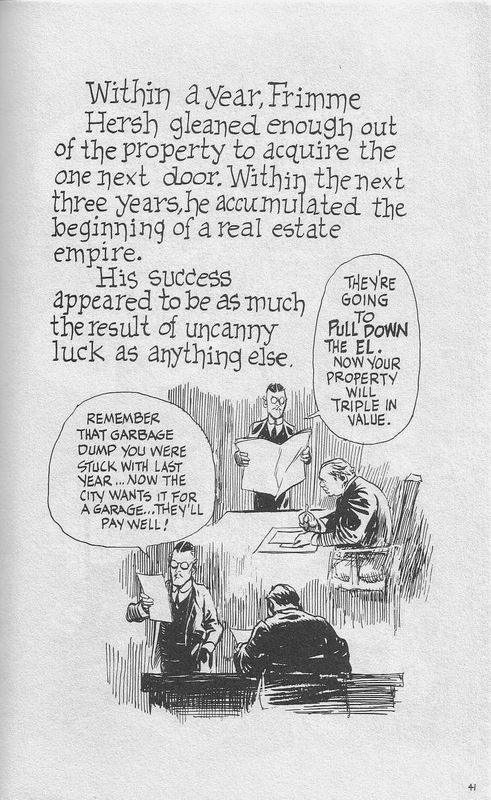 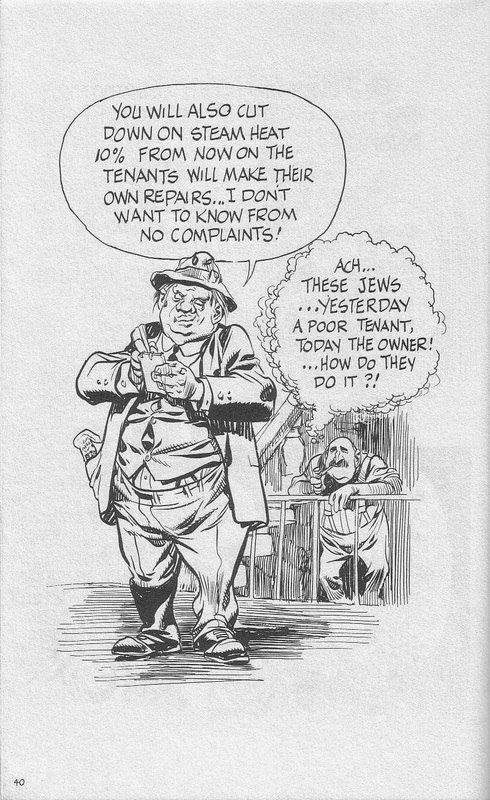 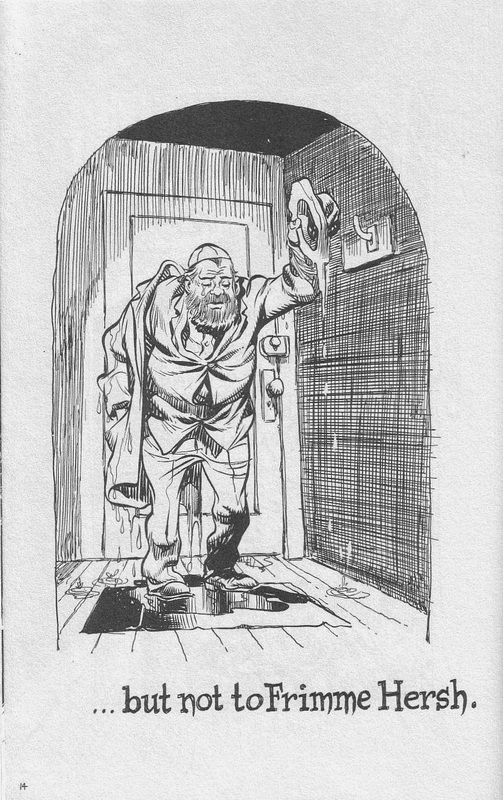 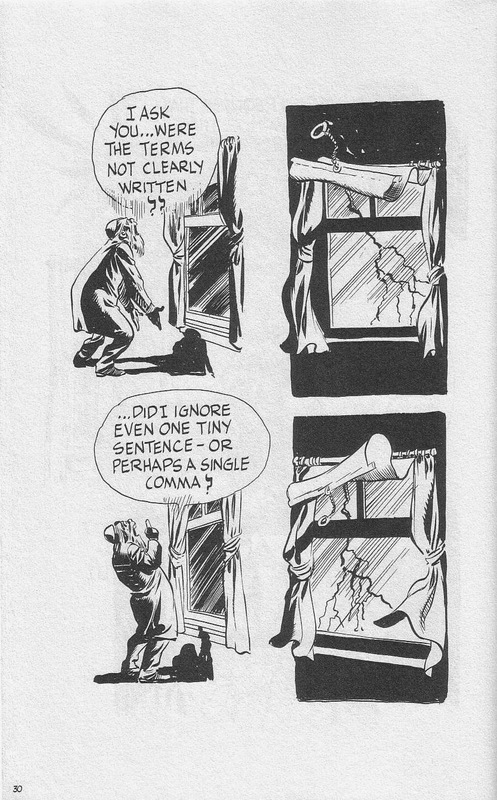 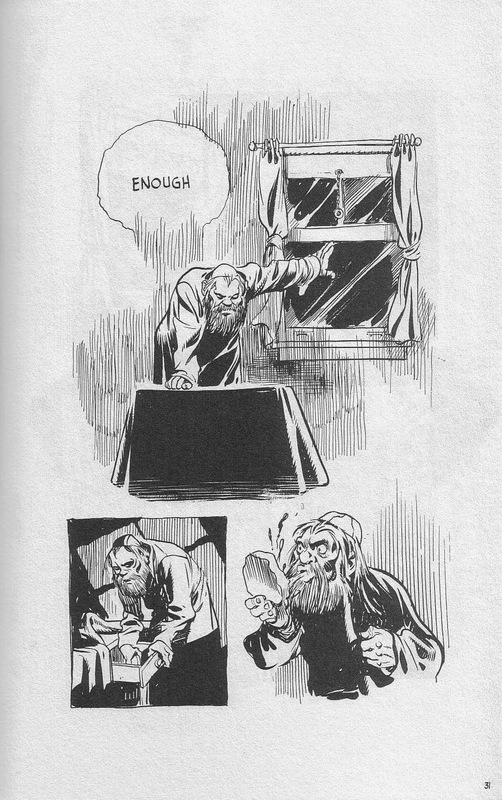 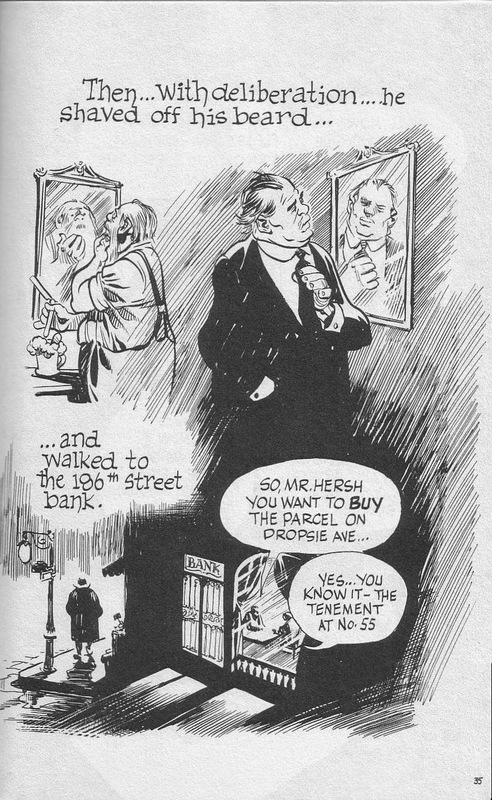 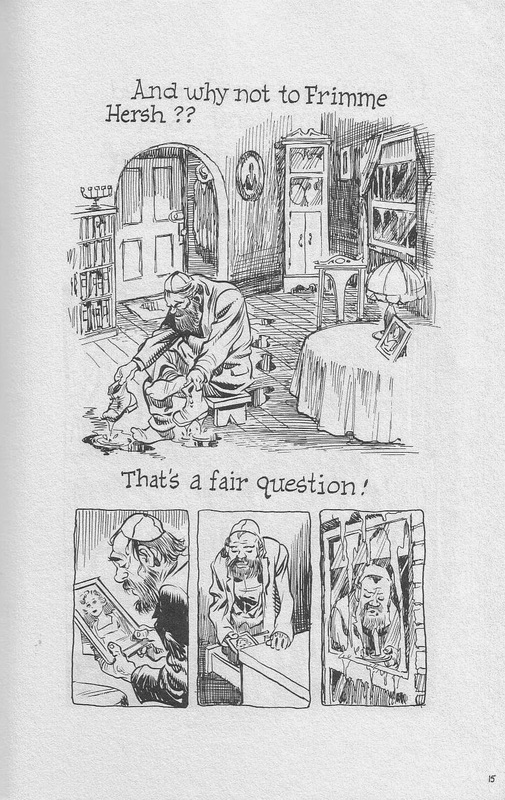 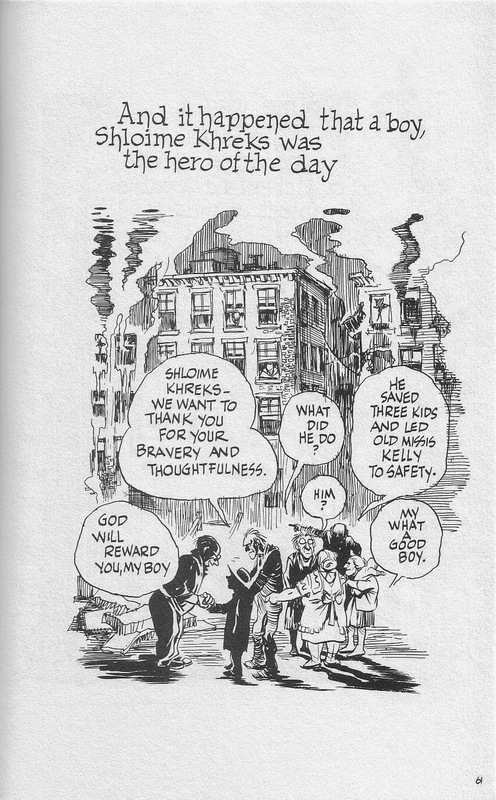 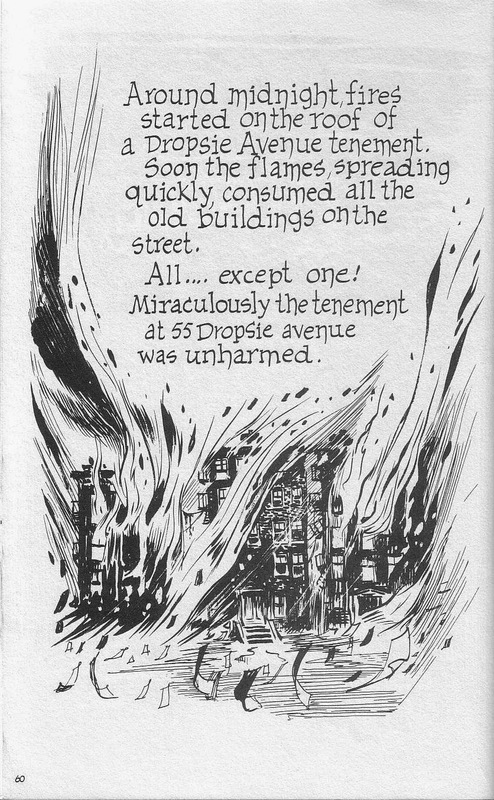 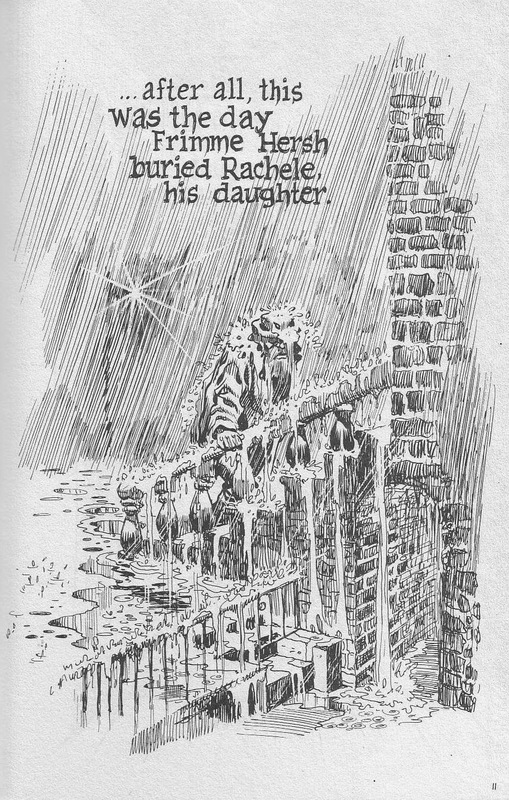 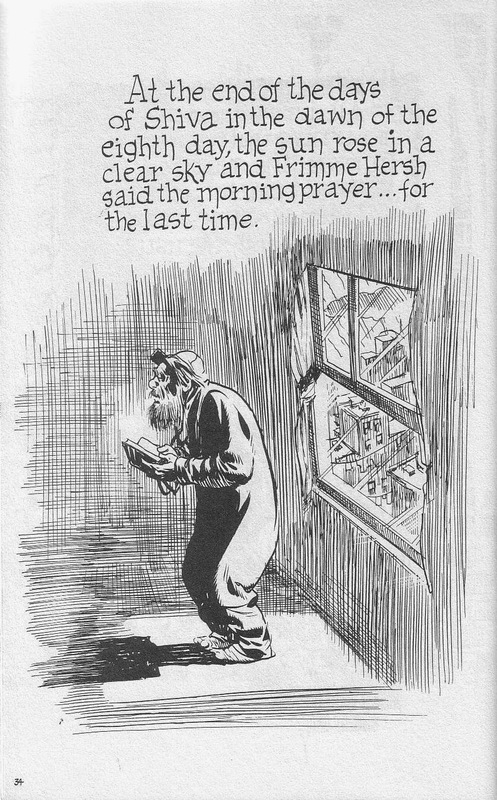 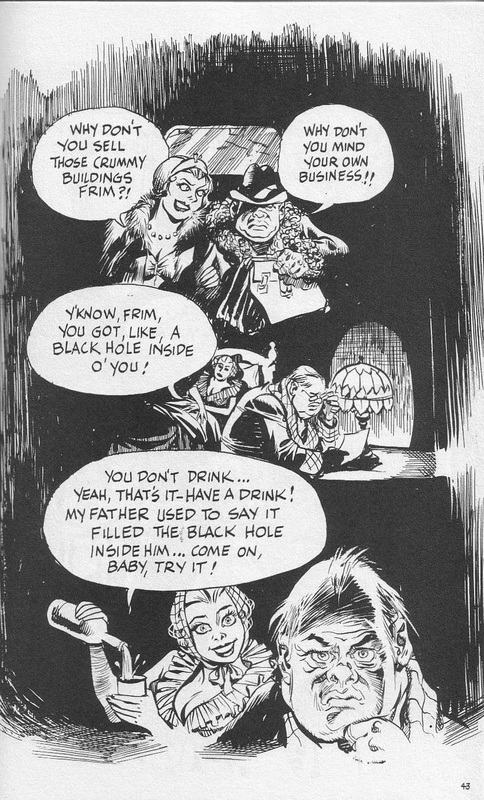 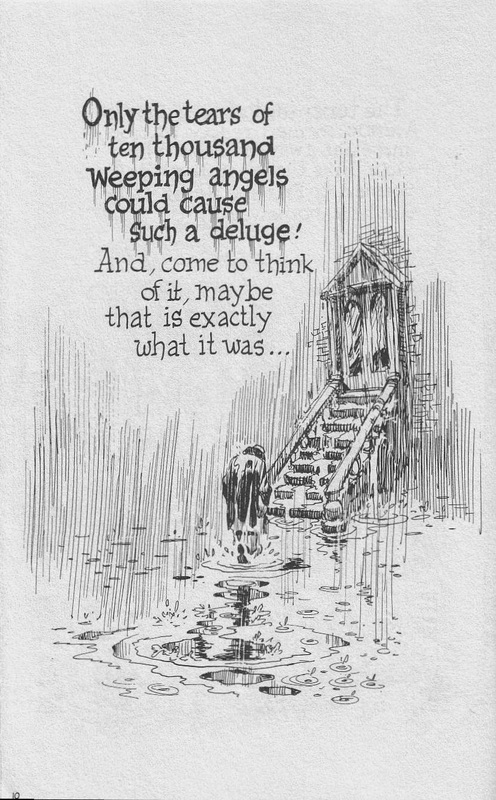 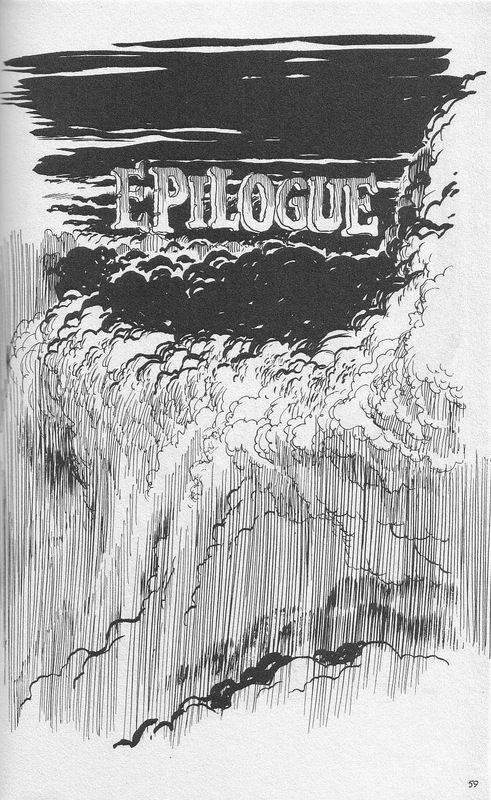 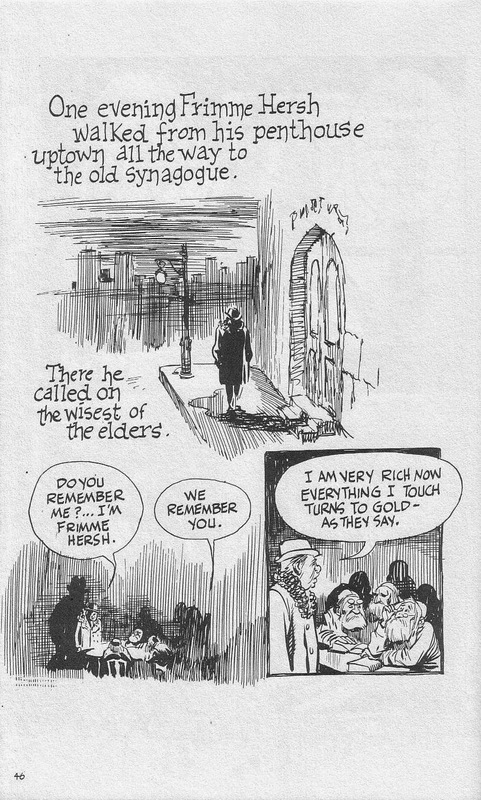 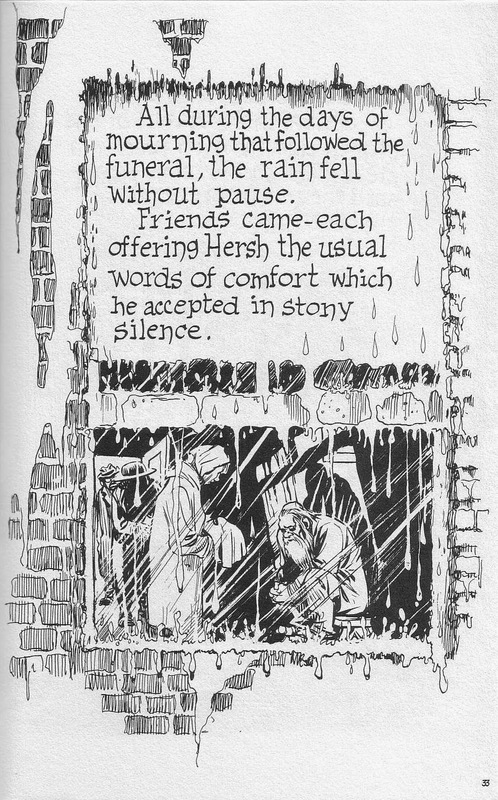 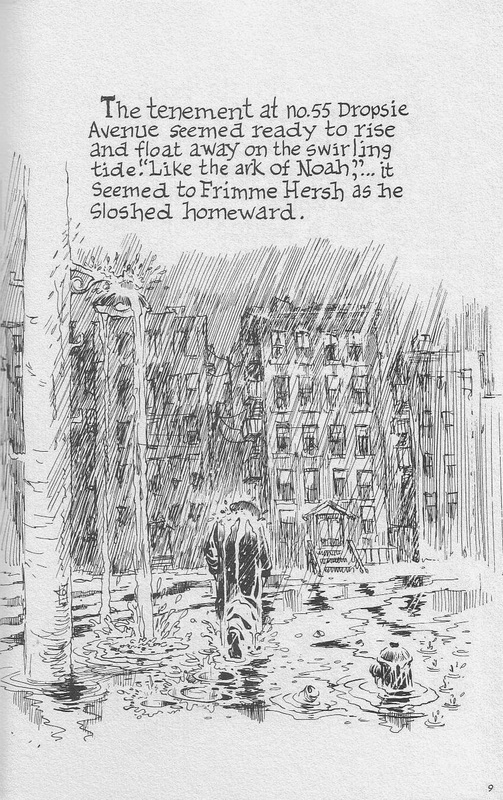 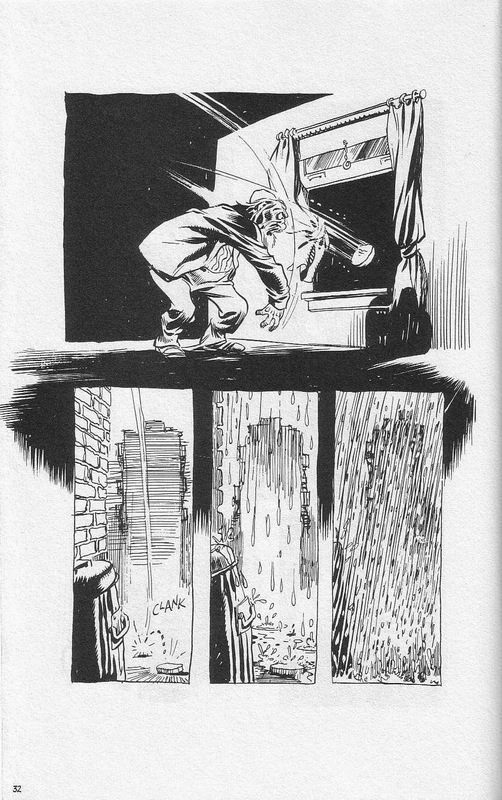 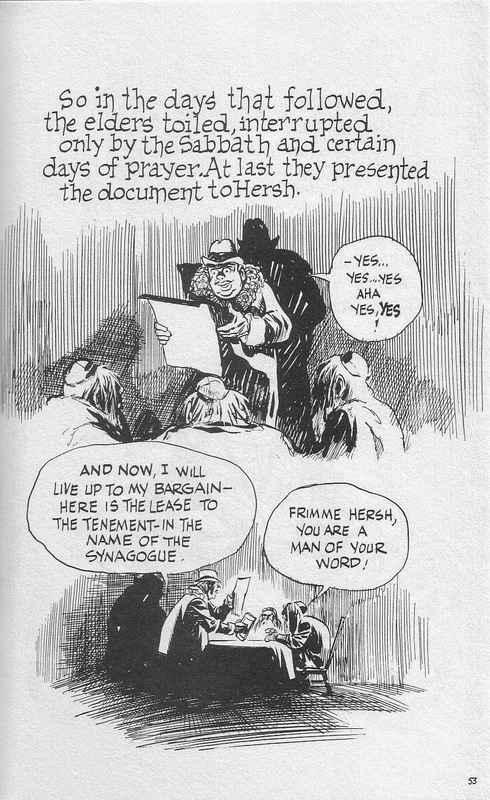 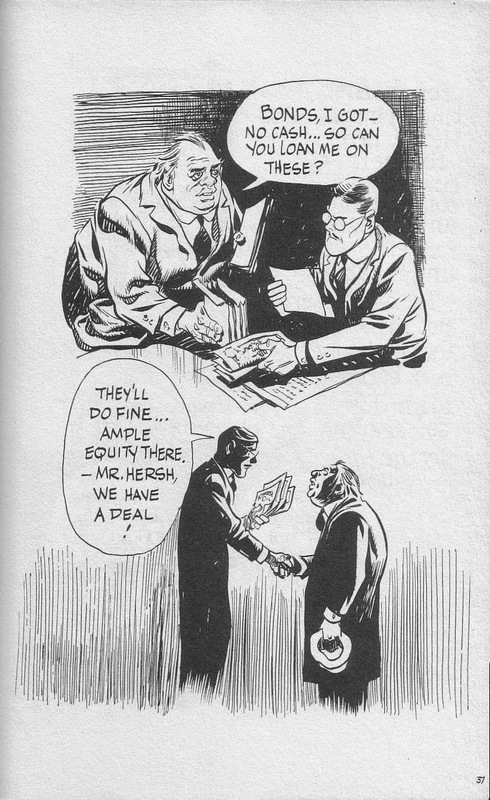 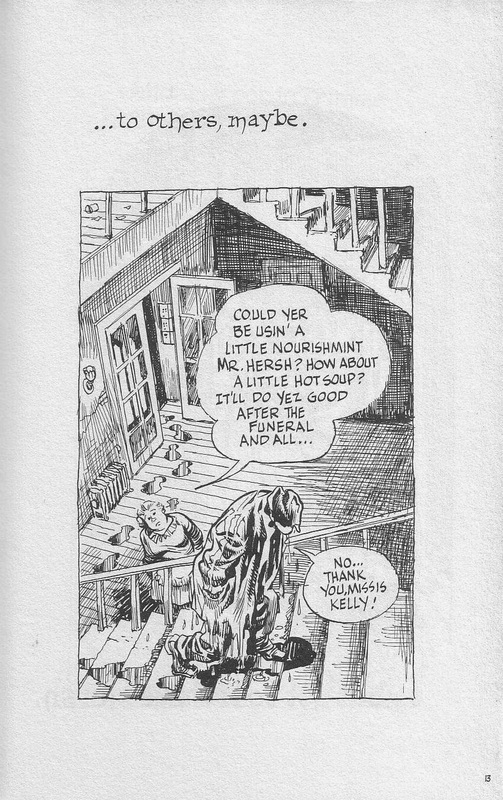 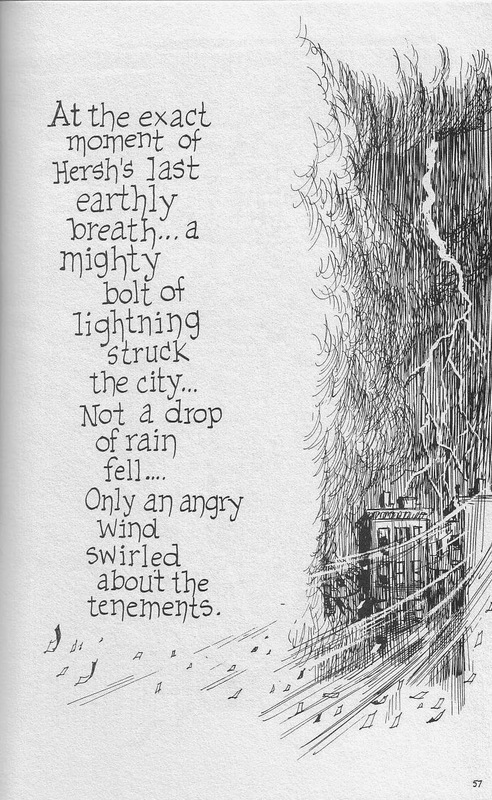 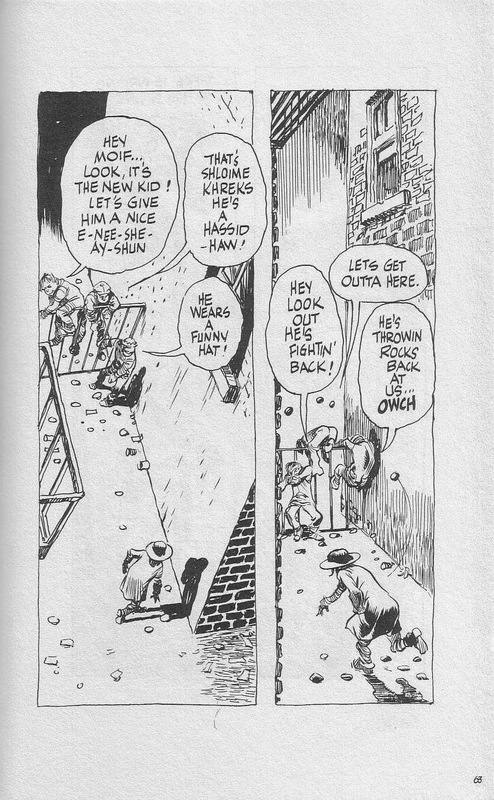 Even now, I have to be in the right mood for this period of Eisner, which may well be the mark of genius. 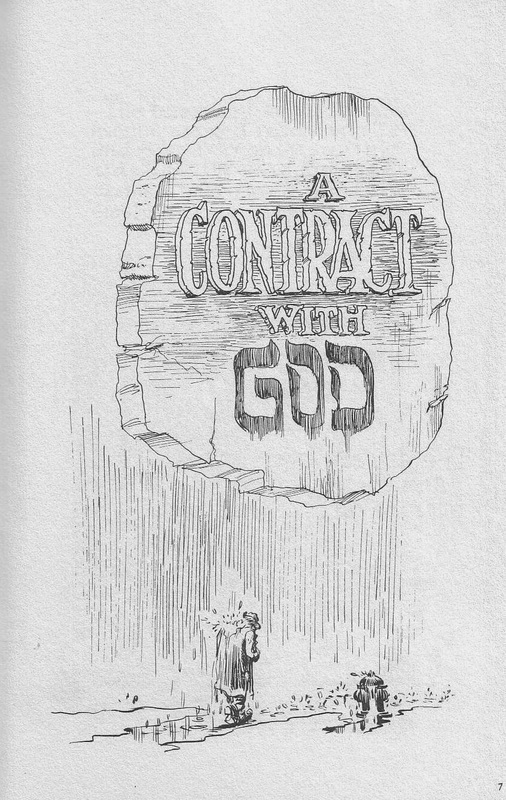 Because A Contract With God, both book and this, the title story, are pretty close to genius, I reckon. 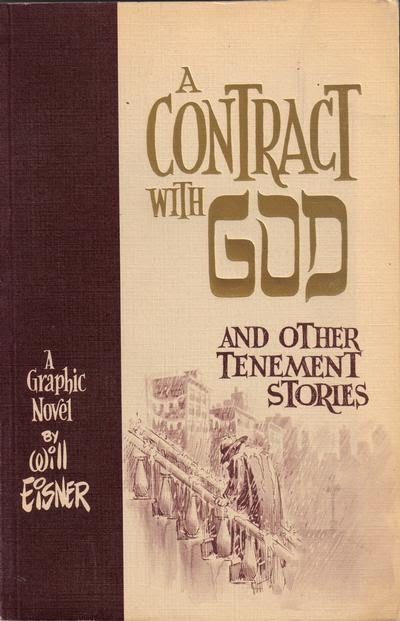 All my Comic Book life I've been wanting to read this Book.